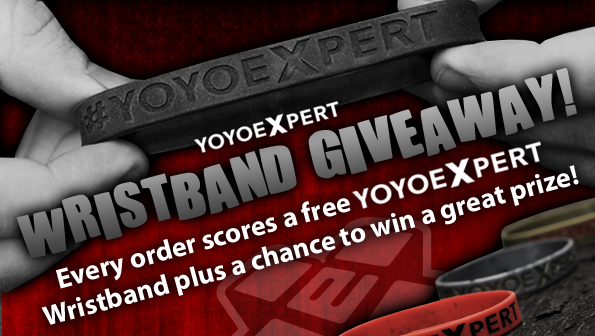 YoYoExpert Blog & Yo-Yo News – The YoYoExpert Wristband Giveaway! 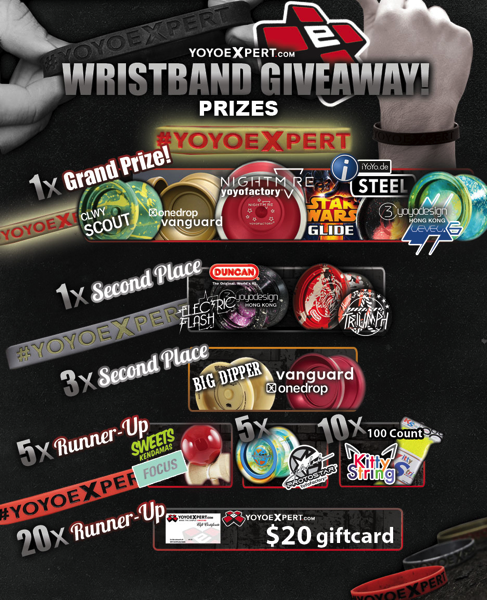 Welcome to the first YoYoExpert Free Wristband Giveaway! We thought we would mix things up a bit and hook everyone up with a little more YoYoExpert swag! Over the next couple months you will have the option to receive a FREE YoYoExpert Wristband with every new order you place! The wristbands are a cool new YoYoExpert accessory, but they’re also your ticket to win! They will be packed with your order in a sealed foil envelope. Just open the envelope to reveal your wristband color – Several special wristband colors will win some amazing prizes and one lucky customer will win the Gold Wristband Grand Prize!